Vice President of Operations - Originally from the home of lake-effect snow, Erie, Penn., Stephanie Simon graduated from Gannon University where she earned a bachelor's degree in Marketing. After receiving her degree, Stephanie made the big move South and currently resides on the Kentucky side of Cincinnati, in Ft. Mitchell with her husband and puppy, Tripp. 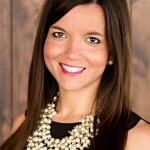 Stephanie began her journey with Cincy Chic as the Philanthropic/Public Relations Intern. Using her ability to multi-task and offering her never hesitant assistance to other team members, she moved up as Cincy Chic's Marketing Coordinator, then onto Marketing Manager, and now Director of Operations. Stephanie comes from an extremely loving family and is the oldest of three girls. Needless to say, there was never a dull moment growing up. Stephanie lives her life by laughing, loving, and smiling. In her free time, Stephanie enjoys working out, making trips back home to visit with her family, and experiencing the Greater Cincinnati area. Contact her at ssimon@cincychic.com. Emerald Sparks is a Financial Strategist and Founder of Emerald Sparks Ltd, a personal finance consulting company where she teaches and motivates professionals and business owners to solve the misconceptions about money. 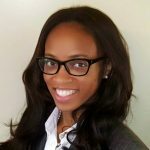 She has curated personalized financial strategies based on individual’s goals, obstacles, and habits. In 2016, she authored a short-read eBook entitled Vision. Future. Reality: How to Budget like a Boss to help educate and illustrate the importance of vision budgeting. She can be contacted at emerald@emeraldsparks.com or emeraldsparks.com. Kelly is an Event and Editorial intern with Cincy Chic. Send her an email at kmaglocci@cincychic.com. 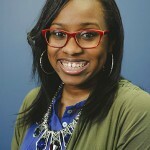 Event Intern - Simone Cox is an Editorial Intern for Chic Publications. Contact her at scox@cincychic.com. 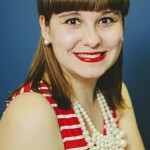 Editorial Intern - Caroline Beckman is an editorial intern for Cincy Chic. She attends Miami University in Oxford, Ohio, majoring in Creative Writing and Journalism. Caroline dreams of working for a magazine or an online publication. She also hopes to write best-selling novels and hit TV shows. Contact her at cbeckman@cincychic.com. Event Intern - Diamond Woodson is an Event Intern for Chic Publications. 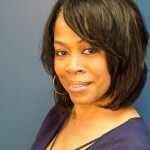 Contact her at dwoodson@cincychic.com. Events Intern - To contact Andrea, send her an email at aturner@cincychic.com. 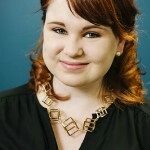 Editorial Intern - Kelly Crotty is an Editorial Intern at Cincy Chic. To contact Kelly, send her an email at kcrotty@cincychic.com. 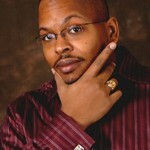 Columnist - After graduating from Ohio State University with a B.A. in Organizational Communications, Shari spent 10 years working in Business Operations with progressive responsibility. She was an integral part of the company’s growth from 2 to 50 store operations. After leaving this position, she worked in the fields of Education and Social Services, where she became the “go-to” person for change. Her problem-solving, leadership, and people skills enabled her to take an idea and develop it into a full-fledged program. Shari then decided to fulfill a life-long dream and received her Mental Health/Counseling Degree. In 2010, Shari created Shari Goldsmith Coaching, to support and empower professional women to define their goals, go after their dreams, and ultimately change their lives. 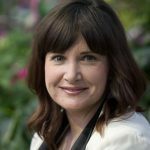 A few years later, Shari created Workplace Resilience to give individuals and executive teams the tools to not only survive, but thrive in this fast changing marketplace. Shari is the current President of the local Ellevate Chapter, part of a global network of 34,000 professional women. Contact her at sharigoldsmith@fuse.net. 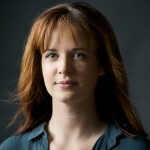 Columnist - Jen grew up on the outskirts of Cincinnati. She received her Bachelor of Arts in Psychology from The University of Cincinnati and a Master of Arts in Psychology from The Chicago School of Professional Psychology. Jen has a variety of experience in the psychology field; from inpatient psychiatric facilities to courts/detention centers. She has identified the importance of taking care of yourself and your relationships to maintain a healthy and happy life. These experiences encouraged her to open a private practice in Life Coaching, which focuses on parenting issues, relationships, and stress/mood management. Jen is also an Adjunct Psychology Instructor at Cincinnati State Technical and Community College. She helps students not only achieve their academic goals, but also teaches them how they can live healthy lives. Jen's main priority in life, is her family. She has a loving husband and two energetic boys. The information she has learned through her education and professional experience, she has practiced, and it has helped her in the role as a wife and a parent. In Jen's free time, she enjoys playing backyard pickup games/board games with her family; running charity races; scuba diving; trying new recipes (which keeps her motivated to cook for her family); and skiing. These activities help her maintain balance in her life and achieve her creed: Live Happy! Contact her at jennifer.szeghi@cincinnatistate.edu. 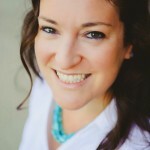 Amy Thornley is a writer, yogini, baker, and Content Manager of The Yoga Bar. Amy found yoga in 2001 and from the first moments of deep breathing and guided meditation, her mind and heart were blown wide open. After studying in various cities, Amy finally found her home at the Yoga Bar, completing her 200-hour teacher certification with the Bija Yoga School in 2014. She teaches regularly around town, sharing her kind heart and radiating love in each one of her beautifully led classes. Amy also earned a Bachelor’s of Art in English Literature from the Ohio State University and a Master’s degree in Information Science from the University of North Carolina at Chapel Hill. She has now settled happily in Prospect Hill with her husband and fur family. Contact her at amythornley@gmail.com. Columnist - Holly Larson, Registered Dietitian is the owner of Grass Roots Nutrition, LLC. Learn the skills you need to shop, cook and eat with confidence. Contact her at info@hollylarsonrd.com. Visit Holly online at hollylarsonrd.com. Have a delicious, healthy day! Columnist - Megan Stacey is a Cincinnati native with a passion for fashion. She founded Polka Dots & Pleats as her New Year's Resolution in 2012 to share her love with others. Blogging is just a hobby for this working mother. Megan graduated from Miami University in 2005 and earned her master's degree from Xavier. She currently works for Keller Williams as a real estate professional. Contact her at megansieberstacey@gmail.com. 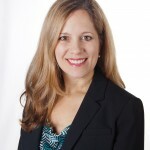 Columnist - Christy Hawkins is the principal of Jumpstart Consulting, a marketing consulting firm, and has more than 20 years of B2B and B2C marketing experience from a wide variety of startup and traditional marketing environments. She got her start at Liggett-Stashower Advertising agency, which helped pave the way for her to lead and provide marketing consulting to senior management at more than 25 early-stage companies in healthcare, financial services, and consumer retail/e-commerce. Her consumer marketing experience includes brand management positions for Pearle Vision and Target Optical. Christy volunteers her time as a mentor for startups at Bad Girl Ventures and Cintrifuse. She earned a Masters of Business Administration from Fordham University and a Bachelor of Science from Ohio University’s E.W. Scripps School of Journalism. She lives in Cincinnati with her husband and three-year-old son. Contact her at chawkins@jumpstartb2b.com. Columnist - Raised nearly 45 minutes outside of Cincinnati in rural Okeana, Jessica Stringfield has always considered herself a proud Cincinnatian and happily adopted a new life as a ‘City Mouse’ closer to Downtown in 2012. She is the Marketing and Communications Associate for the Cincinnati Art Museum as well as a Journalism and Political Science graduate of Miami University where she also completed a Communications/PR internship with NBC Washington’s “Meet the Press”. Despite having an interest in Politics, she decided to ultimately follow her heart and dedicate herself to the Arts community. She is involved with several non-profit organizations including Give Back Cincinnati, the Juvenile Diabetes Research Foundation and the Butler Tech School of the Arts. With her past experience as a journalist, she hopes to shed a new, exciting light on one of Cincinnati’s oldest treasures; the Cincinnati Art Museum. Contact her at jessica.stringfield@cincyart.org. Halie Schottelkotte is a Cincinnati native and lover of all things eyes. In Spring 2015, she completed her apprenticeship and received her American Board of Opticianry Certification. 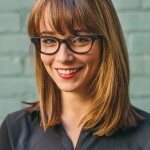 She currently works at Frameri in OTR as an Optician and Showroom Manager. Contact her at halie@frameri.com.